Brett Harned is a lovely guy – I met him at the Digital PM Summit in 2016 – and he’s a confident presenter, easily conveying his passion for the subject to a crowd. He knows how to take a complex message and package it in a way that takes you on a journey, coupled with beautiful visuals* that underpin the message. 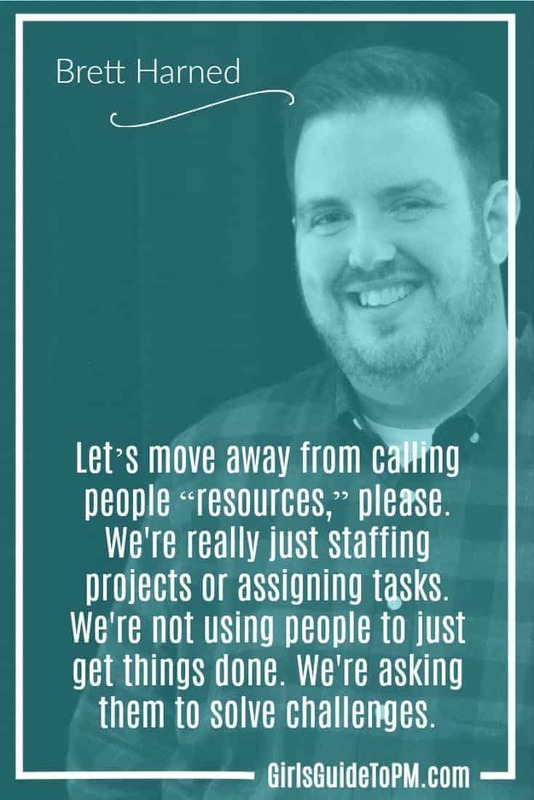 He’s the engine behind much of the digital project management community online and in person. 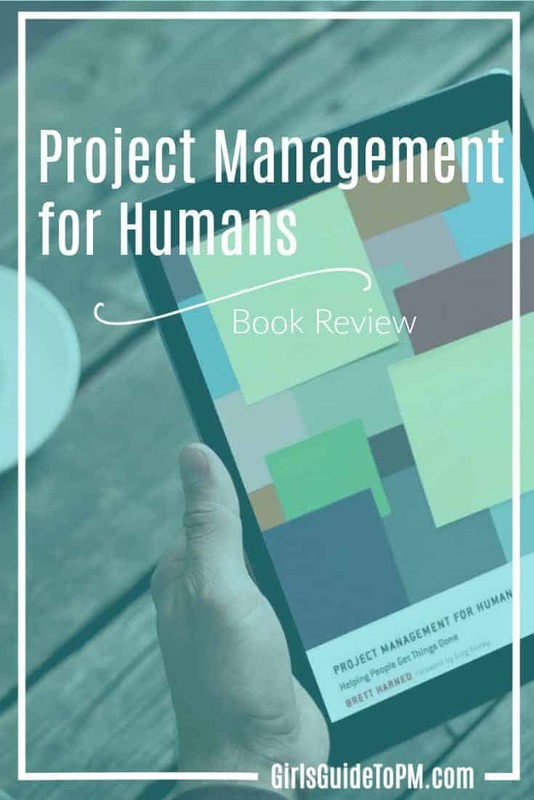 In Project Management for Humans he has taken his experience, ideas and good practice and distilled them into a fun, practical book. I love the writing style. It flows, it’s certainly not stilted and the book is packed with information. I read it quickly and still learned something. I also enjoyed the section on resolving conflict and having difficult conversations, complete with transcript of a conversation Brett had and how it turned out. I learned about story points. It was a helpful and easy-to-understand explanation. I also enjoyed the section on resolving conflict and having difficult conversations, complete with transcript of a conversation Brett had and how it turned out. The book doesn’t have a lot of exercises, but there are some. There’s one that is so compelling it made me wonder if the Gantt Museum actually exists somewhere. There are also outlines for templates and sample layouts that will save you time. There are also case studies and stories from other project managers (including one from me which I had forgotten I had written until I read it in the book). The case study from Dave Prior in Chapter 1 is very funny and that sets the tone for the rest of the book. Each chapter ends with a TL;DR (how very ‘digital’) which summarises the key points for you. The book reminded me of Project Management for You by Cesar Abeid. I feel it’s very much aimed at people who won’t read project management books, or don’t think they are the audience for the more academic, hardback texts and want something quick, accessible and yet delivers on the key points they need to be able to successfully run projects because that’s, you know, the point. This book is like a mentoring conversation with your fun uncle. It’s easy to read, includes loads of examples that bring the concepts to life in ways anyone can understand and it’s grounded in business practice that really works. Brett’s done the thinking about how to make your projects successful and distilled it into what you really need to know to deliver on your targets time and time again. Recommended. In Project Management for Humans @brettharned shows how to make your projects successful. * Random fact: Having looked at the slides from the DPM conference the previous year, I knew I had to seriously up my game in a room full of digital, web and graphic design people. The DPM event was the catalyst I needed to review my own presentation slide decks and just do better. So I have Brett to thank for that! Brett kindly sent me a proof copy of his book to read in advance of publication. I had this book and it helped guide my way towards being a project manager. I highly recommend this to all aspiring PM’s out there and if you’re also looking for a PM tool, I recommend using Proggio. Just get to know more about the tool here – https://goo.gl/n6oEFM. Thanks for giving me a new project management book to read. I am glad that it’s written for actual human brings instead of test proctors. It really is worth a read!